Hollywood is again on the hunt for a new Batman, which means comic book and film fans are going wild with casting suggestions — based, as you might expect, on physical presence, charisma, strength, steeliness, the usual. But what about the more casual elements of Batman? Who can capture the melancholy of the Caped Crusader grabbing a drink, or enjoying a nice afternoon stroll? Maybe you’ve never thought about those private moments for the Dark Knight, but luckily, Sebastian Magnani has. 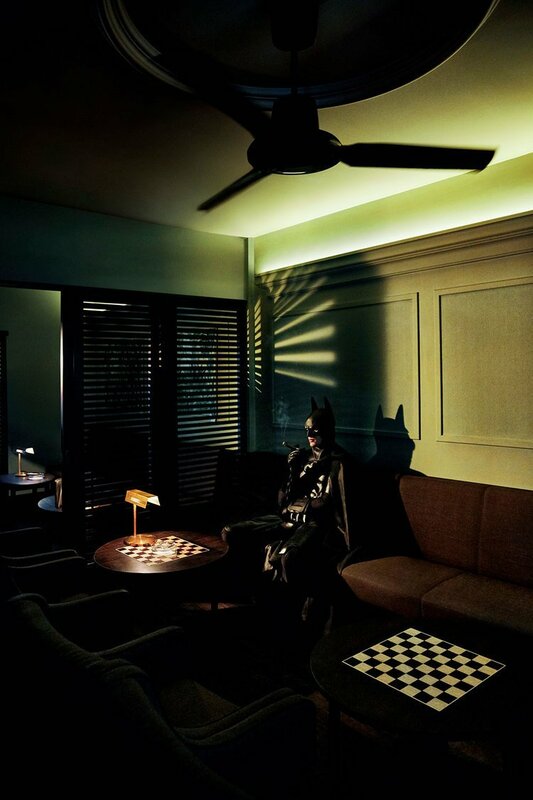 His evocative photo series “Daily Batman” captures the superhero in the private moments rarely seen in the comic books and blockbuster movies, and in the process makes the character more intimate and personal than in those incarnations. We’ve selected a few of our favorites; the full gallery is available on Magnani’s website, and you can also follow him on Instagram and Facebook.